A serious drama played out yesterday at the Ikeja Government Reservation Area (GRA) Headquarters of the Lagos Police Command where two senior officers showed up as Police Commissioners in the state. 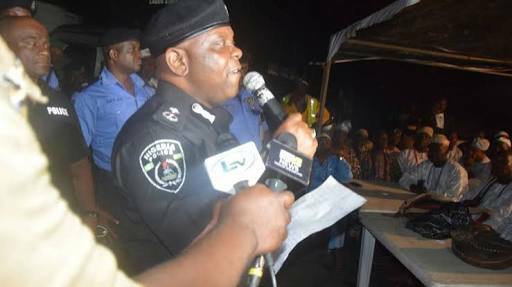 Commissioner of Police Imohimi Edgal, who was billed to hand over following his earlier redeployment, resumed at the office and said he remained in charge. 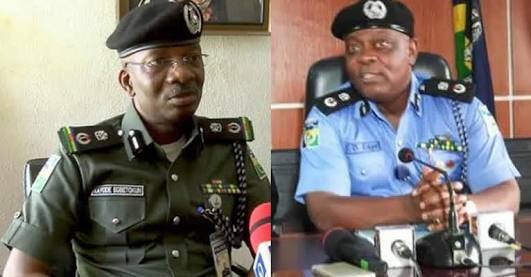 Kayode Egbetokun, a Deputy Commissioner of Police (DCP), who was to take over the baton after a joint news conference, arrived at the Command ahead of Edgal. The handing over stopped due to an “order from the police headquarters in Abuja”. Reporters were told that the event scheduled for 1:30 pm had been shifted to 3pm. But few minutes after 3pm, there were jubilations in the Conference Hall where the Divisional Police Officers (DPOs) and the Area Commanders, waiting for the briefing by the Acting CP converged. “I am sure that Kayode Egbetokun is an old-timer in the command. Our first job as police is order and directive; we were about concluding the handing over and taking over procedure when we were instructed by our bosses from Abuja to suspend action for now. So, there is no change of guard for now,” he said. As Edgal was leaving for Abuja to meet with the Acting Inspector-General of Police, (IG), Mohammed Adamu, there was gunshot salute. On arrival, Egbetokun’s car had been parked at CP’s parking lot while Edgal’s car was parked at another place. It was gathered that as the duo was having a closed-door meeting, a phone call, believed to be from the IG’s Office came in and directed that the change of guard be put on hold. After the announcement, Egbetokun’s vehicle was replaced at the parking lot with Edgal’s.